deepest core of who we are. Who doesn’t want a soulmate—or two or three? enhancers for our spiritual growth. And we all have more than one. connection we’re experiencing in any given soulmate relationship. • Recognize their soulmates—past, present, and future. • Attract new soulmates—romantic ones included. 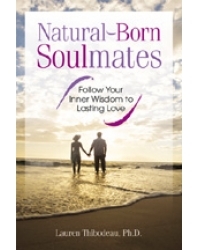 • Improve relationships with existing soulmates. and All You. She is also the author of Natural-Born Intuition.